College Scholarship for women, men, Latino, minority, and anyone that qualifies in Canada & USA. Scholarship Program. All essays become the property of the company. All scholarship is a one-time award of $1,000. This award is non-renewable; however, recipients may apply for consideration in subsequent years if they continue to meet eligibility requirements. 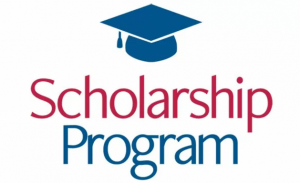 The scholarship award is sent directly to the recipient’s academic institution. Scholarships are awarded in December and pays the recipients the following semester tuition and fees. Level: High school students entering the first year of college or current undergraduate or graduate student. accredited university in the USA or Canada. Privacy: All personal information is private and not shared or sold. Essay – A core value at Thomas R. Smith is Innovative quality, which sometimes comes from places that are unexpected. We recommend you read our Tree Care but not required. By submitting an entry, scholarship applicants acknowledge that they have read and agree to the full terms and conditions of the scholarship.